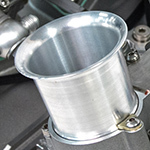 Borla Throttle Body Systems are individual throttle bodies which form the basis for a "one runner per cylinder" induction system. 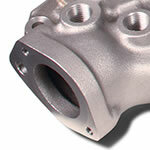 Available in both 50mm and 58mm throttle sizes. These systems can be calibrated for maximum power output while maintaining good cold start characteristics and street drivability. 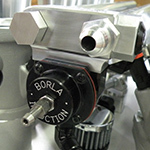 Borla manufactures the finest air horns in the world. 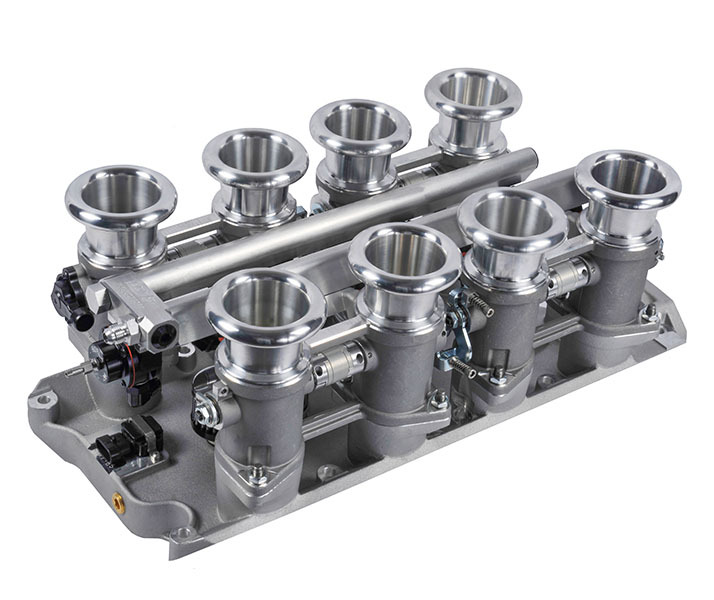 Machined from 6061 T6 billet, on our Haas CNC lathe, they are available in various heights to suit differing engine and engine bay configurations. 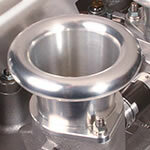 Our fuel rails provide more than adequate fuel reserve for acceleration on high horsepower engines. 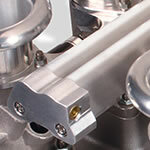 The throttles kit includes a TPS with plug and connectors. 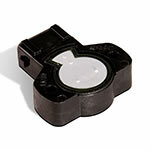 A high quality Hall Effect throttle position sensor is available as an upgrade. What is the Eight Stack Injection? 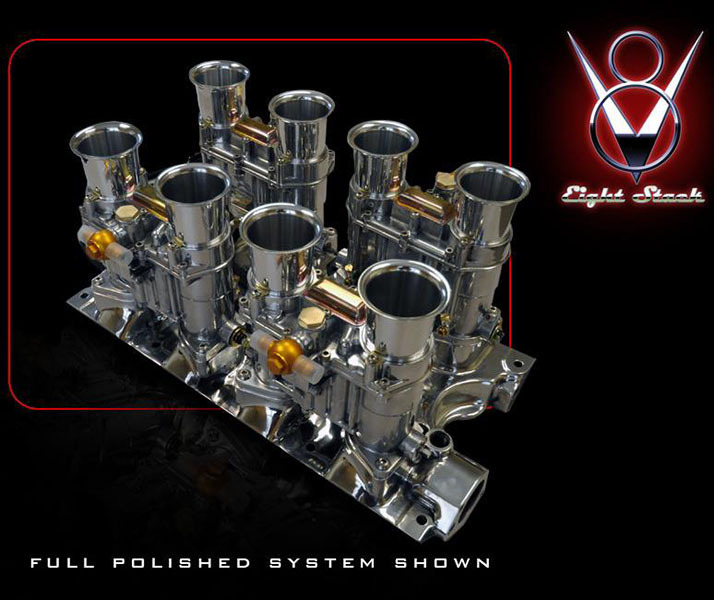 Eight Stack Throttle Body Systems are fuel injection platforms pairing retro looks with modern performance.Styled after traditional Weber carburetion systems of the 1960s, the Eight Stack System gives you all that classic WOW-factor without the need for boxes of jets and calibration changes for weather, temperature and altitude.If you are building or updating a '60's or '70's classic, you can maintain the appearance without the hassles.In fact, only an expert could tell you are using a state-of - the - art fuel system rather than the original carburetor package. 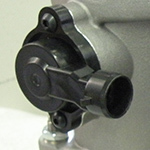 The air horns in these kits are modeled after the original parts and available in both 25mm and 50mm heights. The TPS is an essential part of the communication between throttles and the ECU. 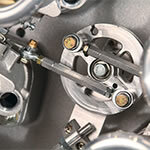 An original equipment type TPS is supplied with every Weber style throttles kit.